Download and unzip the ‘Renovation_Child_Theme_UNPACKME.zip’ file to your computer. Locate the renovation.zip file in the Renovation_Child_Theme_UNPACKME folder on your computer and then click Install Now. When the install is complete click on ‘Activate’, you will then see the Renovation Child Theme as the active theme in your theme panel. This theme recommends the following plugins: Sticky Menu (or Anything!) on Scroll, Surbma. Click on Import and upload Renovation Theme Options.json. Click on Import and upload Renovation Customizer Settings.json. 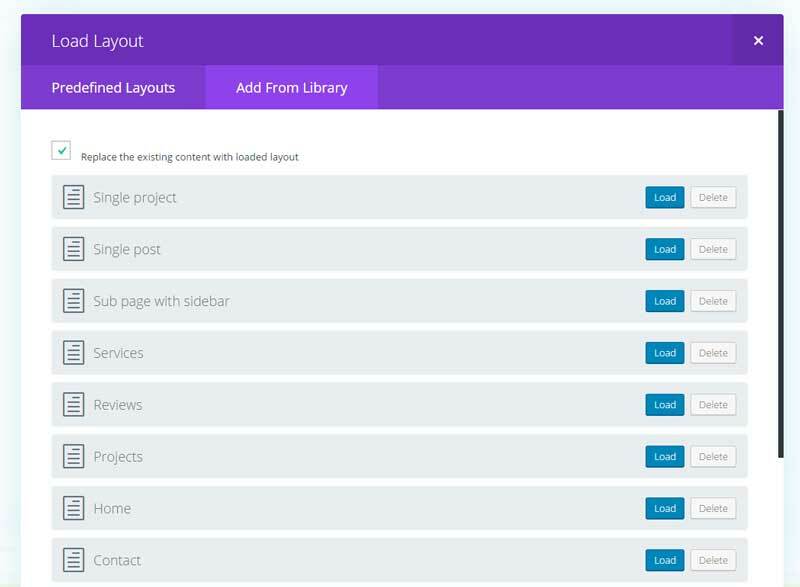 Click on Import and upload Renovation Builder Layouts.json. Same goes for the other modules in this section. If for example, you don’t want the CTA button then you can just remove this or replace with any other Divi module. Important: There are 2 global header sections. 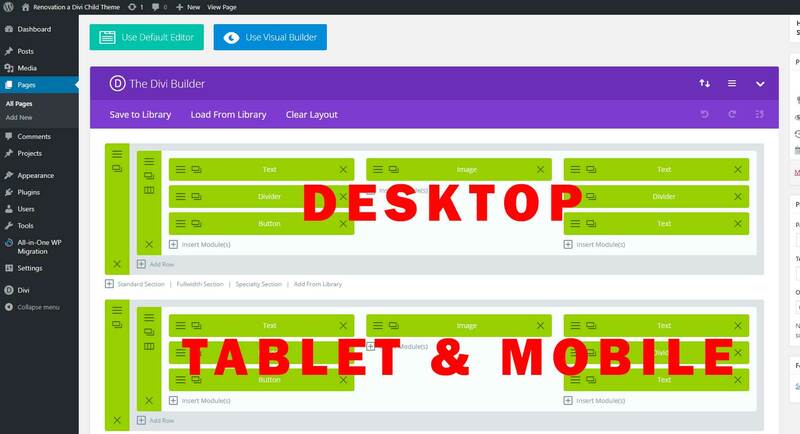 One is for desktop view and the other for tablet and mobile view. You have to change your logo and info in both of them. Click on Add From Library and load Top Header Desktop Global. Do the same with Top Mobile Header Global, Menu Global and Footer Global. Renovation has a custom designed Search result page.